I found this romantic(?) 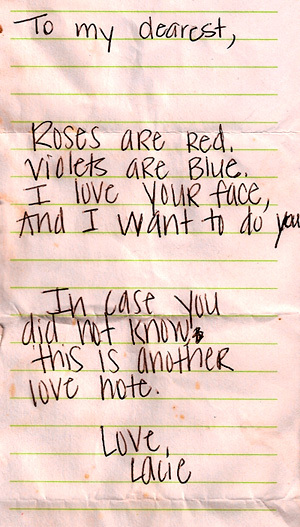 “love note” on the sidewalk outside of a bar. It’s been hanging on my refrigerator for almost a year now.